Credit: Image by petergerdes on Flickr. Some rights reserved. People who listen to podcasts tend to really like podcasts. The average weekly listener tunes in for 4 hours and 10 minutes each week, according to the most recent Edison Podcast Consumer report. And podcast listening is growing, with 36 per cent of those surveyed by Edison having listening to a podcast at least once – up from 11 per cent in 2006. However, it can be difficult to get people who wouldn't normally tune in to a podcast to do just that. "Podcast discovery is still a problem," Delaney Simmons, WNYC's social media director, told the ONA conference in Denver on 15 September. She noted that in the 10 years since Steve Jobs built the podcast app, not much has changed. "The industry hasn't matured the same way a lot of other mediums have." The main way people discover WNYC's podcasts is through iTunes, which is where 60-90 per cent of people listen in, depending on the show. And while iTunes provides bare-bones analytics regarding top charts for mobile and desktop listening, Simmons pointed out this misses the bigger picture, such as "who's listening, how long they're listening, how they found us". "We can't be beholden to this third-party platform forever," she said. Because of this, radio and podcast networks are testing new and different ways to share audio socially, three of which are highlighted below. Earlier this year, NPR partnered with Facebook to experiment with a beta audio player which turned audio posts into "audio books", explained Mathilde Piard, NPR's project manager. The in-line player, originally designed for music services like Spotify, made it possible to share audio via the meta data in links posted to Facebook. 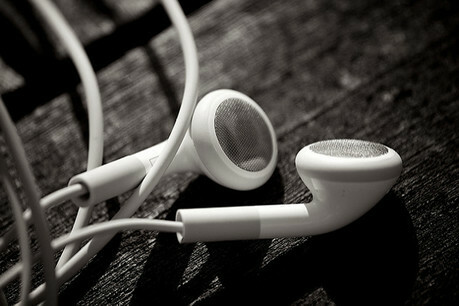 Where posts contained a "back announce" – a message at the end of the audio clip encouraging listeners to 'click on the listen button to hear the full story' – the conversion rate on NPR's website for people listening to the full audio was "much, much higher". The learnings from NPR's Facebook experiment are shared in-depth in this Nieman Lab article. Facebook is continuing to experiment with social audio in beta, Simmons added. Native content performs better on social media than third-party links, but at WNYC Simmons found that meta data posted often showed up "funky", and couldn't be played in-line. "The user experience for all the audio platforms we had in our arsenal weren't working for us, and we weren't driving conversation, these clips weren't super-shareable, and we were almost packaging our audio stories as articles." So in August 2015, WNYC launched Audiogram, an open-source product that would ingest audio, read the levels, and output a movie file. The software was designed to be "true to the medium" – it looks and feels like an audio player – and something that anyone could use, from interns to executive producers, to create shareable audio content. Interestingly, Audiogram doesn't require producers to add an image, one reason being that Simmons said she couldn't rely on quality, original photos. Audio is cut into 30-second chunks – a time limit Delaney said was picked because it would allow people to finish the entire story. "You can't really capture someone in their news feed for more than 30 seconds," she said. "With audio, anything longer than that, [and] we were seeing drop-offs". When NPR launched the second season of Invisibilia, it ran a survey to see how listeners had heard about the podcast. A lot of people had been loyal listeners from the first series, or had heard about it from other podcasts such as This American Life and Radiolab, explained Piard. However, many other people had come to Invisibilia via an eight-minute video featuring animated shadow puppets. Social posts combining animation and audio have also been key to promoting the new NPR podcast How I Built This, as well as the network's coverage of the US presidential debates.